Everything We Know - a visual encyclopedia compiled by creative people from around the world, completed on mini canvases. As a kickoff to this challenge, our artist community contributed words that are meant to inspire and energize their fellow artists. 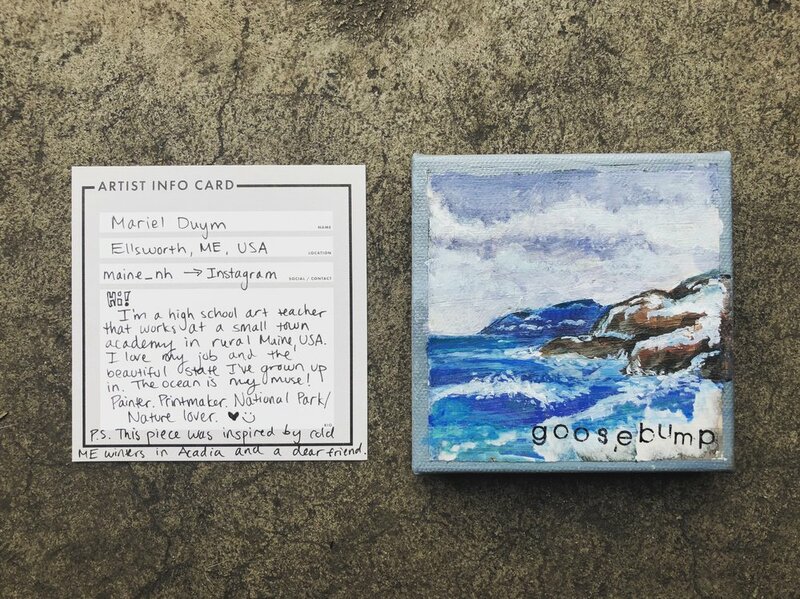 Inside each participant’s box, they received a word sent from one of the thousands of artists from our creative community. Once participants sent their canvases back to the library, we created an encyclopedia with each prompted word incorporated. Our canvases will be on display in late January, and then swapped out with other participants’ canvases from around the world!